New Year’s is over, but this is the best early reader party in town! Let’s look at some basic skills to teach or review with your new or ‘catching up’ reader. 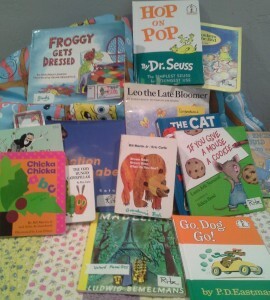 Then see how many of these favorite, time-tested emergent reader books you already enjoy with your child. Sharpen your skills and enliven your lessons with heartwarming beloved stories. Let me know how your mini lessons go. I’d love to hear from you! 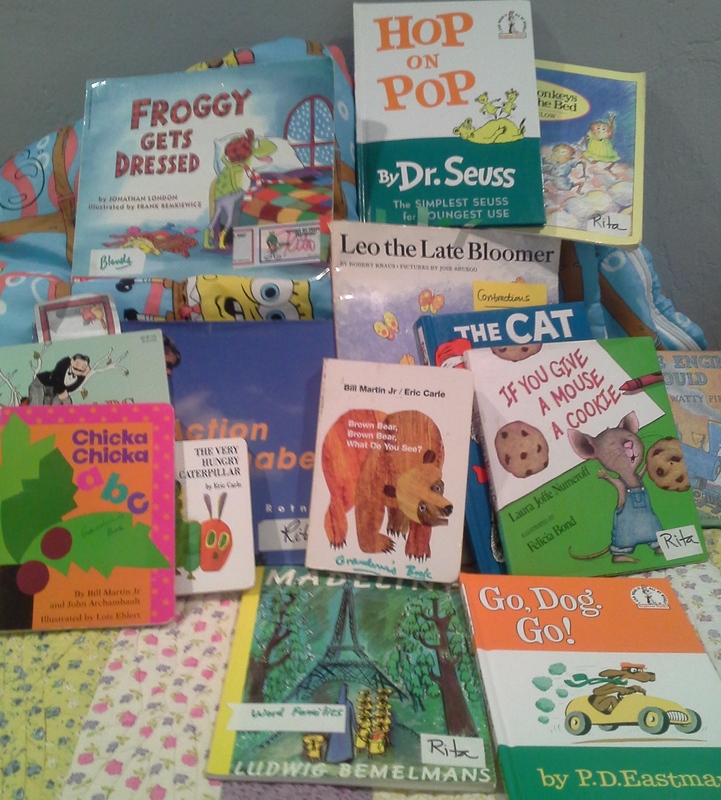 The majority of the books I teach feature rhyme, rhythm and predictable patterns. Not only is this a wonderful classic, it makes teaching phonics skills a snap! It’s loaded with word families, including at, it, ump, etc. It has easy sight words and one-syllable words. You can also teach basic punctuation: the period, comma and exclamation mark. Truly, you can teach nearly all the basic phonics skills listed and modeled in my book Reading Champs using this Dr. Seuss favorite. I use this first Dr. Seuss book with children starting to get how reading works and how cool it is. I love this book! Point out these word families: up, ay, ight, at. Every page offers a phonics element to find. Keep your word detectives busy. The perfect alphabet book, loaded with rhyme, rhythm and predictable patterns. It also has nice onomatopoeia (sounds like “boom!”) and basic punctuation marks. There is also one contraction, “I’ll. When I read this to Morgan we always follow up dancing to The Learning Station, on You Tube’s “Boom, Chicka, Boom”! This is such a beautiful book to read and teach. Not only do we teach the days of the week, but also counting practice, multisyllabic words, colors and sequencing. For an extension activity, we make a simple sequence book of construction paper tied together with yarn. I stress the rhyme, rhythm and predicable patterns. I also teach prediction and sequencing. We do the second reading using rhythm instruments, to help feel and hear the beat. So much fun! I teach directional concepts (over, under, etc. ), counting, basic punctuation, repetition and word families. This is a great book for boosting a child’s fluency. After reading, we play with sets of little toy cars and pretend we are going to the dog party. Sometimes we wear party hats or have a tea party. Include prediction and sequencing. Contractions. Word families. I have a story bag (large see- through zip lock baggie) I use with this story. Contents include a little soft mouse, mouse puppet, napkin, straw, mini pillow, blanket, etc. We act this out as we read the story. Then I review the sequence. We always discuss the sequence of our day and week and even the sequence we do things in, as getting up in the morning or going to bed. A perfect book. I teach counting, compound words, plurals, word families, rhyming, sequencing and basic punctuation. Morgan and I always act this out as we read, chanting it eagerly. Then we play You Tube versions and sing and dance! Using chopsticks, we pick out repetitive words, contractions and ing word family words. Enjoy the onomatopoeia including “hoot, hiss, crunch”. Basic punctuation is easy to master using this story. I read this with children of varying ages. Sometimes we draw after reading, talk about things we want to learn to do better and understand what it means to “be a late bloomer”. I love this book. I am a late bloomer with social media. We can all share what we are learning as lifelong learners. Love this book! I have a Madeline puppet and we use my little puppet theater, with other puppet characters being the orphans. Also, I teach the ight word family. This is a perfect rhyming book, with rhythm and predictable patterns. You can also use the story for counting practice, a geography lesson on Paris, finding it on a map, etc. Finally, Madeline is also a great starter for teaching poetry with its end rhyming words such as four/door, far/scar, nine/line, etc. Still great after all these years—loved since 1940. Teach ap word family. Make predictions what will happen on the next page. What will the monkeys do? Act out the directionality, left, right, etc. Wear hats and caps of various colors that you can count, following the story. Make sale tags that say 50 cents. Count out 50 cents in change. If you happen to have a monkey puppet, use it. Or make a paper bag puppet. Use silly chanting voices for the monkeys. Have fun! Sometimes little things make a big difference. The best way to get children ready to read is by reading to them. Discovering new words and the flavor of language starts early. Reading these stories is important; teaching basic skills from the stories is equally important! Leaving footprints on your reading hearts. Appreciating the time and energy you put into your website and in depthh information you offer. It’s nice to come across a blog every once in a whilpe that isn’t thee same outdated rehashed material. more on this topic? I’d be very thankful if you ccould elaborate a little bit more. Thank you for your kind words. Read with your child every day. In response to multiple requests, I will do another similar blog soon! I cant wait to learn far more from you. This is really a terrific site. Thank you for your neat comments. I hope you read more of the blogs. I’m spending a lot of time working on them. Any topics about reading you are most interested in?